November 2013 - Touch Display Research, Inc.
My father wrote a poem book in his 60s. I translated it from Chinese to English and added many explanations of Chinese festivals, poets, culture, leaders. 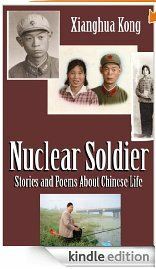 The book’s name is: Nuclear soldier: Stories and Poems of Chinese life. It’s on sale today for 5 days at Amazon.com for $0.99. A book of stories and poems from an ordinary Chinese person’s point of view. The stories cover my father’s life from 1946 to the present day. He would say his life has been very ordinary apart from one highlight––he guarded Deng Xiaoping in 1965 when the famous leader visited “Nuclear City” in Qinghai Province. He also provided security for many famous nuclear scientists in the 1960s. By enjoying the poetry and stories in this volume, the reader can understand the highlights of the past sixty-six years of history in the People’s Republic of China. The first section is called “A Soldier’s Memoir.” The twelve poems are a remembrance of my father’s years as a soldier, 1963-1968, when he was between the ages of 17 to 22. Those are his young and happy memories. As a soldier, he protected the first nuclear bomb of China. The second section, “Love is Priceless,” contains 19 poems about my father’s family and friends. They are about his grandmother, his uncles, and one describes the starvation he experienced as a child. Others are about his beloved wife– my mother, and about his children—my younger brother and me. Some are about reunions with his old soldier buddies. He cherished his brotherhood with the former soldiers from Nuclear City. He appreciated all the people who raised and helped him along the way. He praised those who have integrity. The third section of 29 poems covers his retired lifestyle in our hometown and is called “Societal Observation”. Zhengzhou (郑州) is a medium-sized city in the middle of China. Topics of the poetry include the city’s changes, everyday life, playing bridge game, trading stocks, traveling to Hong Kong and Macao. While this is not part of my company, it is part of me. Hope you’ll like it. This entry was posted in Displays and tagged 1946, 1965, Chinese, history, love, memoir, nuclear bomb, nuclear soldier, poem, soldier, story, Zhengzhou on November 28, 2013 by jennycolegrove. Atmel XSense is one of the metal mesh types ITO-replacement transparent conductor for touch panel. Atmel announced mass production of XSense in early 2013. The first design-win is the ASUS’s tablet PC. I recently interviewed Atmel’s director Mr. Rusty Stapp, he showed me the ASUS tablet PC, several new demos and different size XSense touch sensors: flat or curved. 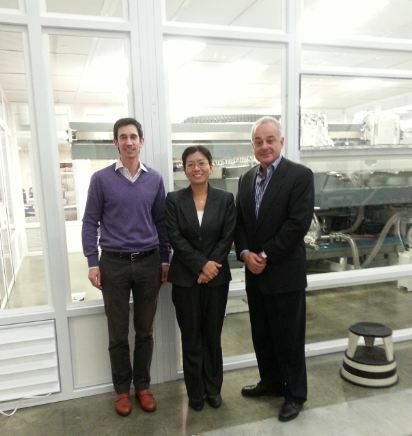 Atmel invited me for a fab tour of their XSense fab this week. I’m in Colorado Spring currently, and I’m very excited and looking forward for the fab tour tomorrow. This entry was posted in Displays and tagged ASUS, Atmel, fab tour, ITO Replacement, metal mesh, touch display research, Touch screen, touchscreen, XSense on November 4, 2013 by jennycolegrove. I’m back in California from the FPD International 2013 conference in Yokohama, Japan. It was my honor to speak at this conference, and I’m very glad to meet some of you in person at this conference. Today in the FPD International 2013 conference website, Nikkei BP (the conference organizer) posted the total attendee numbers: there were over 47,000 attendees for the 3 days exhibition, and over 3500 attendees for the forum. Nice to present with you, Mizuhashi-san and Geoff. 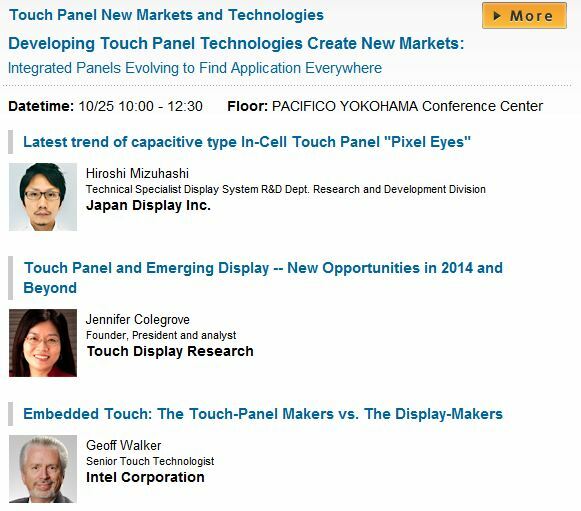 This entry was posted in Displays and tagged flex conference, FPD International 2013, Japan Display, Jennifer Colegrove, touch display research, touch panel market, Touch screen, Yokohama on November 1, 2013 by jennycolegrove.